"Mail or E-mail me a photo of yourself and I will find the perfect wig or piece for you!" Welcome to We Three Wigs web site. Wigs and hair extensions provide an opportunity to have some fun, experiment, and reinvent yourself! We have provided the finest quality wigs, hairpieces, toupees and other hair products for thousands of satisfied customers. 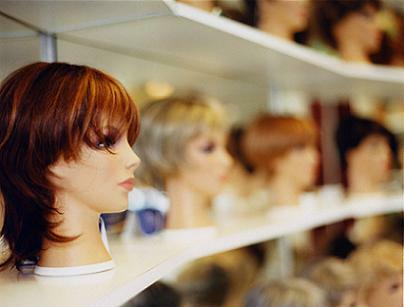 In addition, We Three Wigs has the largest selection of human, synthetic and monofilament wigs and hair pieces available. All wigs are sized correctly and matched with the right color to ensure comfort and customer satisfaction. Whether you're looking for straight, wavy, curly to long, medium to short, hairpieces or toupees, We Three Wigs has the experience and inventory to match any need. Call at 865-584-1697 more information regarding our products.